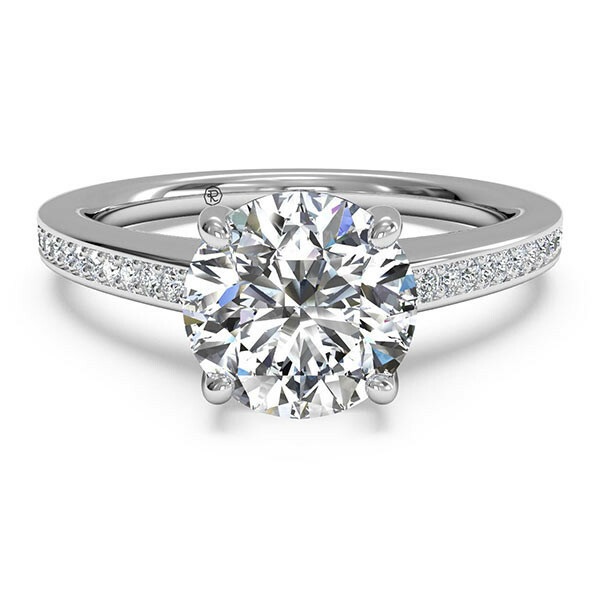 This engagement mounting from Ritani awaits your round center diamond. It will be cradled in safety and security by four prongs, and supported on a brilliant micropave band. A single row of micropave gemstones encircle the base of the center stone, adding a most delightful detail. This Ritani engagement mounting shows just how beautifully the designs of Ritani seamlessly blend the delicate and elegant.